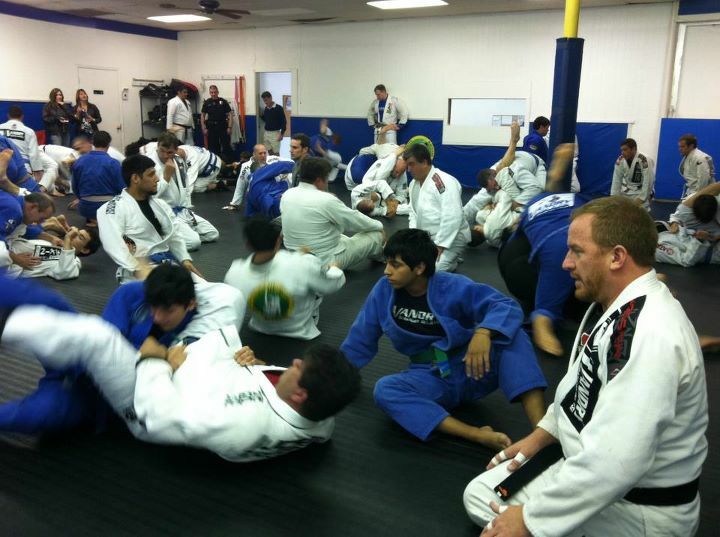 March 3 was a huge BJJ chapter in the state of Texas. 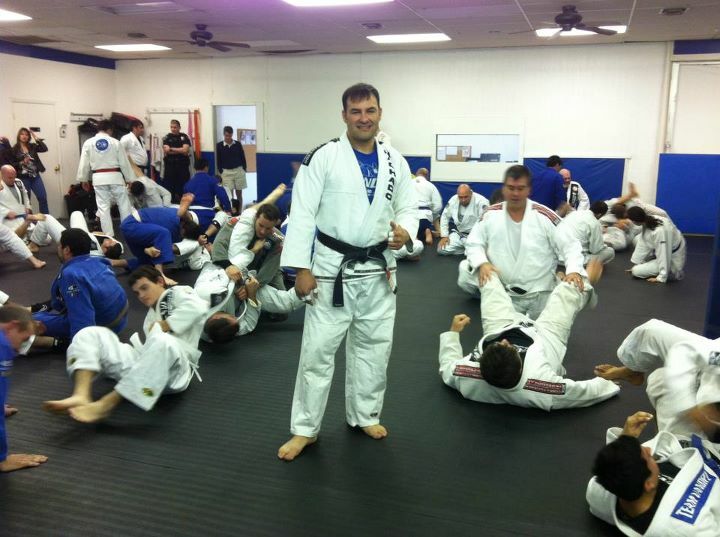 The VBJJA quarterly association clinic, which is a quarterly seminar designed for the Vandry Association of Jiu-jitsu students across academies in Texas and other states, and students from Arizona, California, and from all over Texas. Vandry began the seminar with developmental techniques from the guard, regaining the triangle choke. The technique featured the ‘Breakdance technique’, which is an angle Vandry displayed on recovering the guard or triangle when opponent beats the legs. The elbow lock follow up by Vandry was expanded by Machado, who taught follow up elbow locks, the ‘straightjacket’ guard to more finishes to chokes. An enthusiastic packed seminar with close to 100 students eagerly absorbed the drills, the knowledge and advice from Vandry and Machado. Awards were given out to William Vandry’s top three Black belts, Manny Galvan, Carter Fisk, and Gary Claxton. “Gary Claxton was always my most senior student. He was my right hand Captain of my community, and all of my black belts give praise and thanks, because he also helped all of them develop. Gary was everyone’s big brother.” Vandry stated. 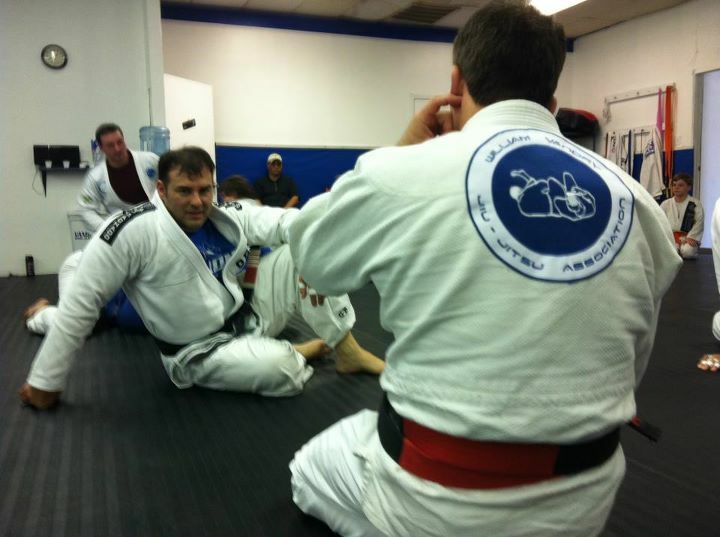 Carter Fisk and Manny Galvan, two of Vandry’s first BJJ Black belts, officially became Professor Vandry’s first two first degree Black belts. “Carter and Manny have been my two senior students, and we award Gary Claxton his as well, although he is now resting in peace, I still feel we owed him that, as he would have received his last year not much longer after he passed away. Develop skills and maintain them with constant training. Keep in shape year around when you are a Black belt. Self serving is against principles, but giving and spreading respect, knowledge, philosophy to others is. Keep a covenant with your lineage. This should be what this is about. I also enjoy the respect I have with all of my Black belts, their loyalty, their respect, and their aid to keep spreading our message.” Vandry said.